Dr Kevin Franklin is a Clinical Psychologist in his private practice – The Art of Science – since 1996. He is a Psychodramatist, Trainer-Educator-Practitioner and Director of Training with the Perth Campus of Psychodrama Australia. 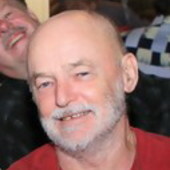 Kevin was a senior teacher of science and biological sciences in West Australian government schools for 14-years, a lecturer in psychology for 4-years at Edith Cowan University, and valued trainer in counsellor education and practice for 14-years with Australian Institute of Professional Counsellors (including Service Award 2008). Kevin’s clinical coursework, placements and research PhD was conferred by the University of Tasmania in 1990. This research tested G H Mead and J L Moreno’s different role theories. This demonstrates the origin and nature of human sexual preference and, with serendipity, of psychosocial Disorder. Prior degrees were from the University of Western Australia: Bachelor of Arts, Diploma of Education and Bachelor of Psychology. Additionally, Teachers’ Higher Certificate and Certificate IV in Assessment and Workplace Training. Reluctantly he did not complete his Certificate in Fine Arts. I wish that I could have created such a philosophically astute sentence as Constantin Stanislavski – theatre theorist and creator of method acting – when he wrote: Learn to love the role in yourself, not yourself in the role. When a child I learned to play the role (role-taking); now as an adult I have learned the freedom of spontaneity (role-playing). My Worldview – and this love-method – underlies my being and action where (to quote Shakespeare) all the world’s a stage.